I distinctly remember the first time I drove a stick shift. My parents were thinking about buying me a VW Rabbit, but wanted to make sure I could drive it, so they taught me the basics, took me out on a country road, and guided me along. I killed it. And not in the "I was so freaking amazing" way. I literally killed the engine so many times, I was afraid I would break the car and we'd be forced to buy it. I cried, my parents caved, and I ended up with a Mercury Grand Marquis named Bessie. Seven years later, I marry a man who owns a manual pickup. Needless to say, I never drove. After pestering me for months about why I wouldn't even try, I finally admitted to my husband something that is true in all aspects of my life. If it doesn't come naturally, I won't do it. I'm a prideful perfectionist. I don't like to lose. I don't play sports because I know I won't win. I'm simply not athletic. Could I be if I tried? Probably. But man, that would take years of trying! I'm not afraid of many things in life, but I am definitely afraid of failure. But recently (and I'm talking in the last two weeks), I've been thinking about who I need to be. Not just for my husband and my children, but for me. How many things should I be working on that I'm not, all because I'm afraid I'll fail? 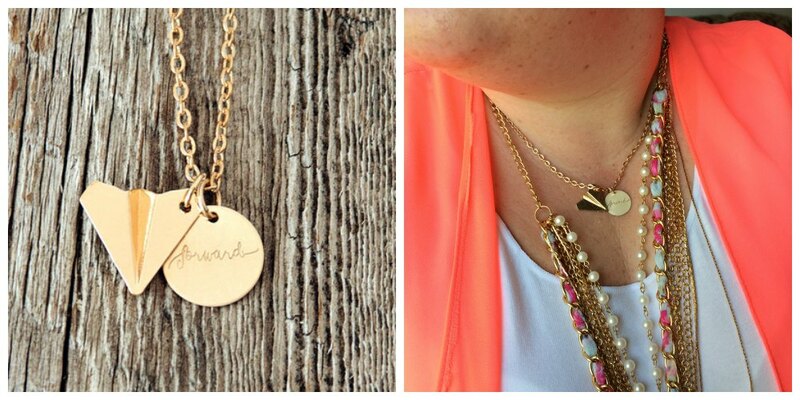 I attended a blog conference earlier this year where all the attendees received this necklace. If I'm going to move forward, I've got to start pushing myself to do hard things. I can't stand idly by anymore. Even a paper airplane needs someone to throw it before it can fly. And you know what? People are the same way. Sometimes it's a nudge, sometimes a shove, but we all need a push now and then to discover what we're capable of doing and WHO we're capable of being. 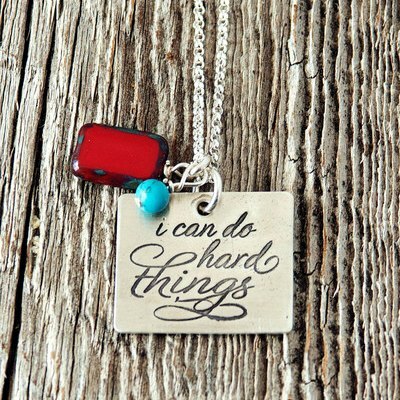 The ladies at Charmed Collections know this better than anyone. I'm so grateful to call them my friends, because all three of them are such an example to me of thriving while doing incredibly difficult things.